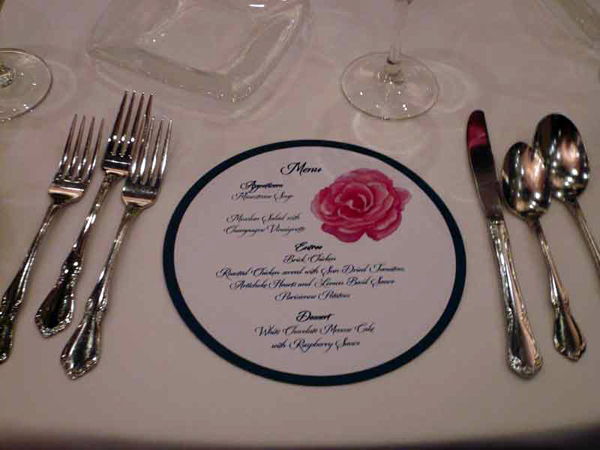 A watercolor pink rose circle menu perfect for weddings and bridal showers. 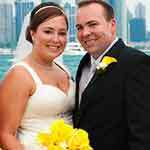 This men not only tells guests about the meal but adds color to white tablecloths and napkins. 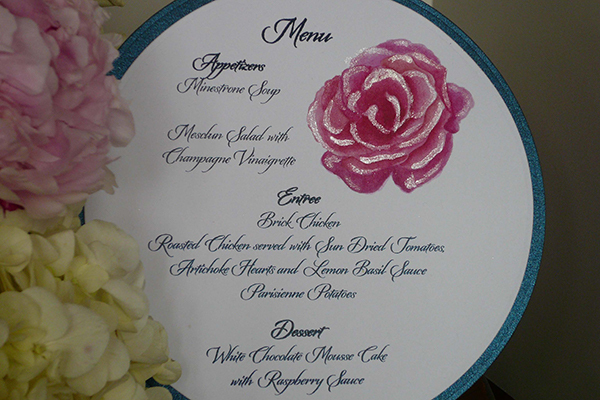 Hand painted Iridescent highlights add a touch of shine to an elegant menu. This is a menu that guests take home as a keepsake!